To partake in this promotion, riders do not need to do anything as Uber will be creating an auto-apply discount code that will ensure that rides taken throughout the campaign are automatically discounted. “For those concerned about the impact on their partner’s personal income – there is no need to worry, this promotion is being covered by Uber. Driver-partners can expect more demand from fare paying passengers and less time spent idle waiting for rides. “So, pull out your calendars and start scheduling your end of year parties and festive celebrations – and make sure to use Uber wherever it is you’re going. 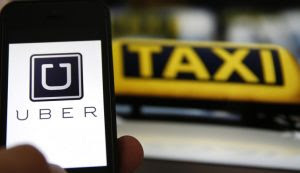 Uber will take you there in safely, reliably and at 50% of the original price,” Uber said.